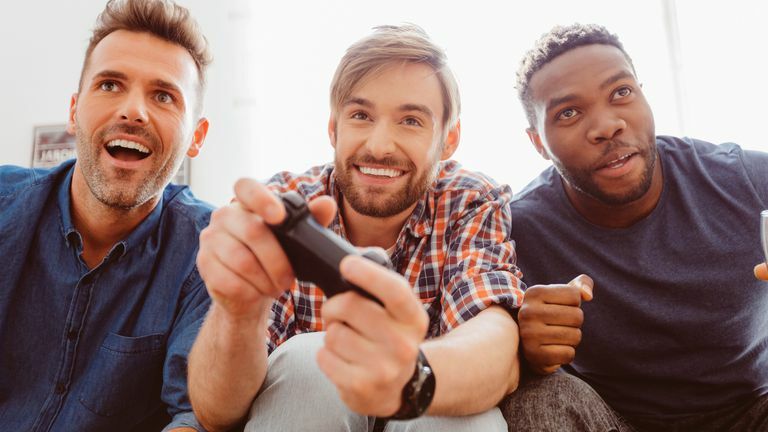 Broadcasting video game gameplay to the Twitch streaming service for others to watch in real time is a popular way to spend time on Sony's PlayStation 4 console. While many professional streamers do invest in expensive video capture cards, computers, green screens, cameras, and microphones, it is actually possible to stream PS4 gameplay to Twitch using what you already own. Here's how to get started. For a basic Twitch stream from a PlayStation 4 console, you won't need much beyond these necessities. A PlayStation 4 for playing your video games and for processing the video capture and streaming. Either a PlayStation 4 Pro or a regular PlayStation 4 console is fine. One television set for viewing your gameplay and stream footage. At least one PlayStation controller for playing your chosen video game. The official PlayStation 4 Twitch app. Streamers wishing to incorporate footage of themselves or a voice narration during their streams will need to purchase these optional accessories. A PlayStation Camera. This first-party accessory contains both a camera and a built-in microphone. In addition to enhancing PlayStation VR gaming and enabling voice commands on the console, the PlayStation Camera is also necessary for capturing video footage of the player for Twitch streams and recording their voice. An extra mic. While the PlayStation Camera can record spoken dialog from the player, it can also pick up echoes and background noise which can lower the quality of the stream. An alternative for voice recording is a separate headset or some earphones with a built-in mic. The basic free earphones that come with modern smartphones usually do the trick and can be plugged directly into the PlayStation controller. The official Twitch app for the PlayStation 4, which is separate from the Twitch apps created for computers and mobile devices, can be installed via one of two methods. Visit the PlayStation Store website, sign-in with your PlayStation account, and purchase the free app. This will automatically add it to your PlayStation 4 and the app will begin downloading to the console the next time it's turned on. Open the Store on your PlayStation 4, search for the Twitch app, and install it directly from its product listing. The same app is used for both streaming to Twitch and watching Twitch broadcasts. If you already have the Twitch app installed for viewing streams, you don't need to download it again. To make sure that your video game broadcasting is sent to the correct Twitch account from your PlayStation 4, you'll first need to link your PlayStation and Twitch accounts. Once the initial connection is made, you won't need to do this again unless you change accounts or consoles. Here's how to do it. Press the Share button on your PlayStation controller. It will be the separate button in the upper-left side of the controller with the word "Share" above it. Select Broadcast Gameplay and choose Twitch. Select Sign-in. Your PlayStation 4 console will now give you a unique series of numbers. On your computer, visit this special Twitch page in your web browser and enter the number. Back on your PlayStation 4, a new option should appear. Press OK. Your PlayStation 4 and Twitch account will now be linked. Before you begin your first Twitch stream on your PlayStation 4, you'll first need to adjust several settings to make sure everything looks the way you want it to. These settings will save so you won't have to change them before future streams. Press the Share button on your PlayStation 4 controller. Select Twitch from the menu that appears. A new screen will appear with a button that says Start Broadcasting, a preview of your stream, and a variety of options. Don't press Start Broadcasting yet. If you have a PlayStation Camera connected to your console and wish to use it for recording video of yourself, check the top box. If you wish to use audio of yourself via the PlayStation Camera or a separate microphone, check the second box. If you want to display messages from people watching your stream while you're streaming, check the third box. In the Title field, enter the name for this individual stream. Each stream should have its own unique title that describes what game you'll be playing or what you'll be doing in the game. In the Quality field, select the image resolution you want your video to be. The 720p option is recommended for most users and provides a good image and sound quality during a stream. The higher the resolution is, the better the quality will be however a higher internet speed will be needed for it to function properly. Choosing a high-quality option while on a low-speed internet connection will cause the stream to freeze and could even make the sound and video fall out of sync. You may need to do several test streams at different resolutions to find the setting best for you and your internet connection. Once all of your settings are locked in, press the Start Broadcasting option. To end your Twitch stream, press the Share button on your PlayStation controller.